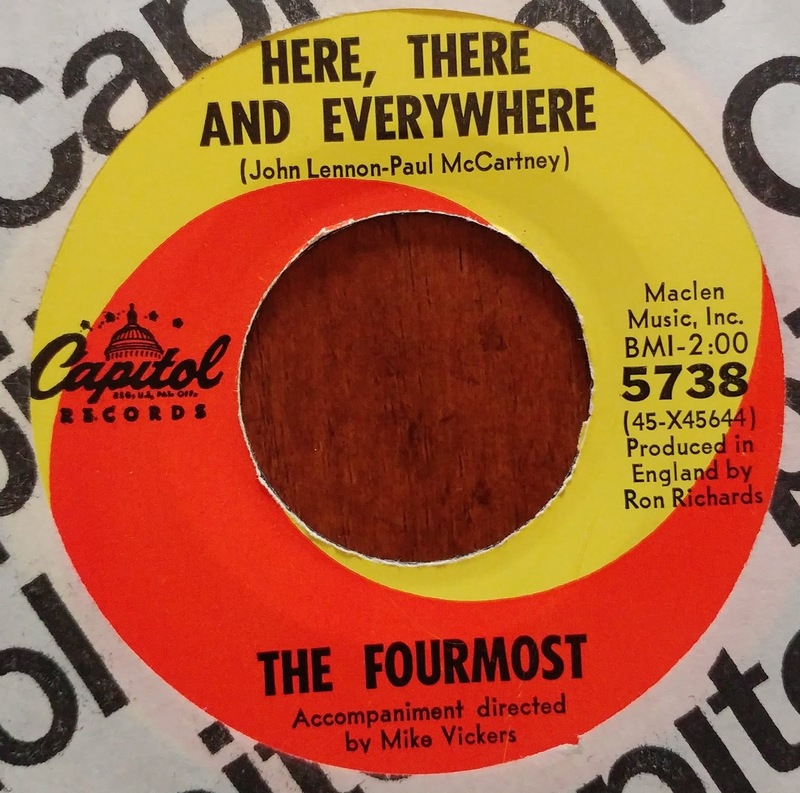 The most covered track from The Fab's "Revolver" album without a doubt was "Here There And Everywhere" which saw half a dozen versions released, many within days of the appearance of "Revolver". 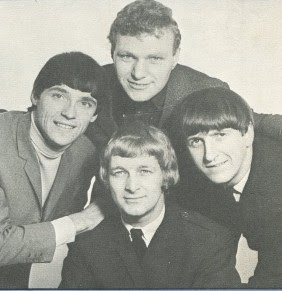 Among them were versions by U.K. acts The Mustang, Episode Six, Petula Clark and a host of others but Liverpool's Fourmost pulled the hat trick of releasing a cover of it five days before The Beatle's version was released! A US pressing was simultaneously issued on the same date. The Fourmost version bears little difference from the original save the fact that their harmonies are actually stronger and more plentiful than the Beatles. Ex-Manfred Mann genius Mike Vickers provided the orchestration which gives the track a fuller sound than the original, but I'll be honest there's nothing about it that makes me want to play it repeatedly. It featured guitarist Brian O'Hara on lead vocals as the band's previous lead singer Mike Millward died of leukemia in March (O'Hara tragically would take his own life in 1999). The flip, "You've Changed" is the stronger tune for my money. It's incredibly Beatle-esque from it's Chet Atkin's via George Harrison country guitar licks and an intro that sounds incredibly like the Fab's version of Buck Owen's "Act Naturally" it moves along nicely as a decent slice of country influenced beat music. It was written by the band's vocalist/guitarist Brian O'Hara. Both sides appeared on EMI CD collection "The Best Of The Fourmost". All posts contained herein unless otherwise quoted are the exclusive property of Anorak Thing and should not be reprinted without express written permission .